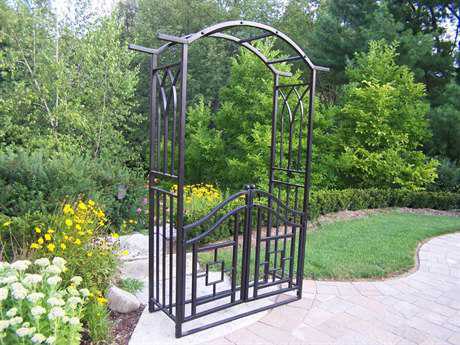 A pergola is an outdoor structure meant to provide shade and style to an outdoor living space. It is made up of four-columns, supporting a roof that can be either completely enclosed or a lattice of beams and rafters. Pergolas can be large or small, and can be attached to the house to cover a patio space, or placed anywhere in a backyard or garden to provide an additional seating and entertaining area. 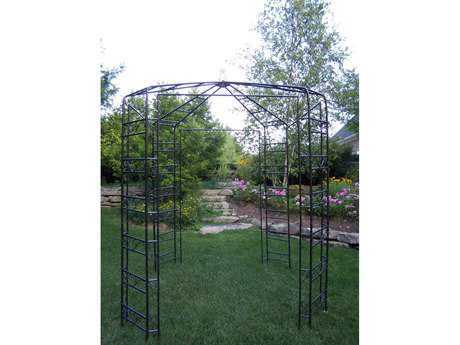 Although they are similar to gazebos, pergolas are different in that they do not typically include built-in seating and are less enclosed than gazebos. 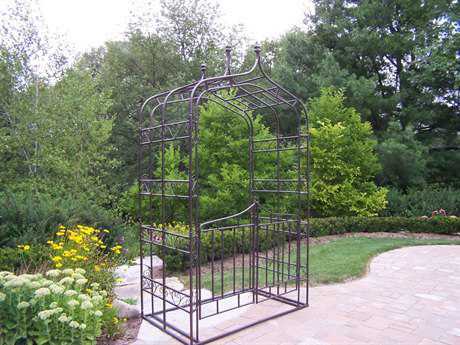 Pergolas are also usually square or rectangular, and are often placed over a garden walkway. Pergolas are typically made of wood but can also be constructed of vinyl, fiberglass and aluminum to increase weather resistance and durability. Pergolas provide a beautiful area in your outdoor living space to relax and unwind while surrounded by nature. The openness of a pergola allows you to enjoy the weather while still being shaded from the sun and elements. Some people position their pergola against a wall or fence, or add a wall to their freestanding pergola. This provides more privacy if needed, and some additional shade as well. Pergolas with a roof made of beams and rafters provide may provide limited shade, but can be covered with a vinyl or fabric canopy to provide complete shade if desired. A patio furniture set, like a dining set or a lounge set, is often placed under a pergola to create the perfect entertaining space. You can choose a pergola to match the colors and aesthetic of your home, or it can have a style all its own. Pergolas can be strung with lights to create a space great for entertaining at night. They can also be decorated with plants; flowers and vines can climb the columns to fit in perfectly with nature. The roof of beams and rafters can also be woven with vines and flowers, which, in addition to looking beautiful, can provide shade as well. Pergolas can be made of wood, vinyl, fiberglass, or aluminum depending on your preference. Each material has a different look, and the materials can be mixed as well to provide a unique style that is as beautiful as it is functional.